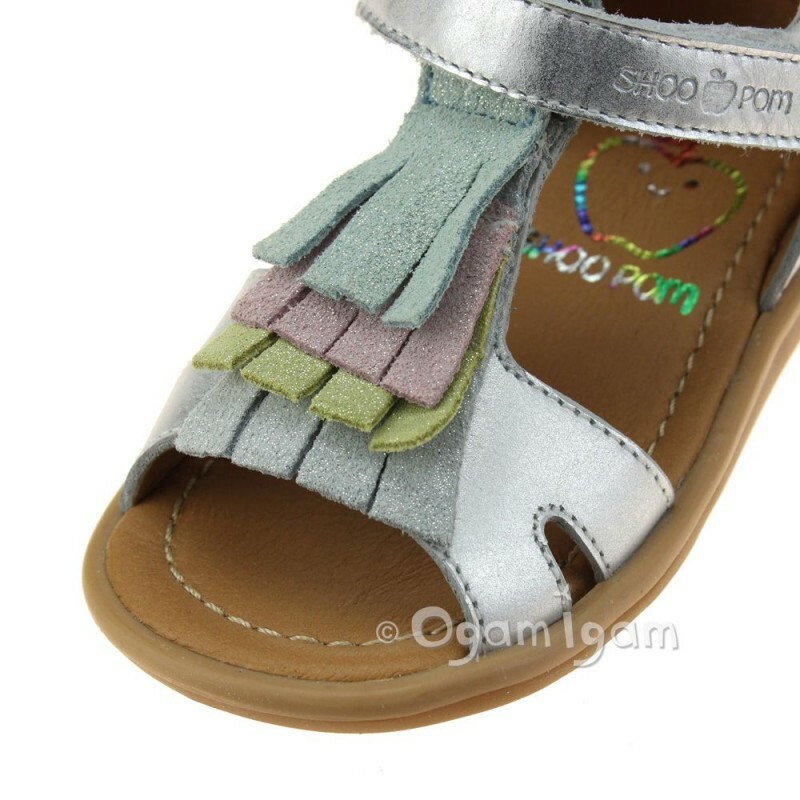 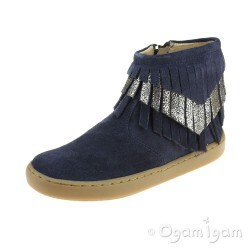 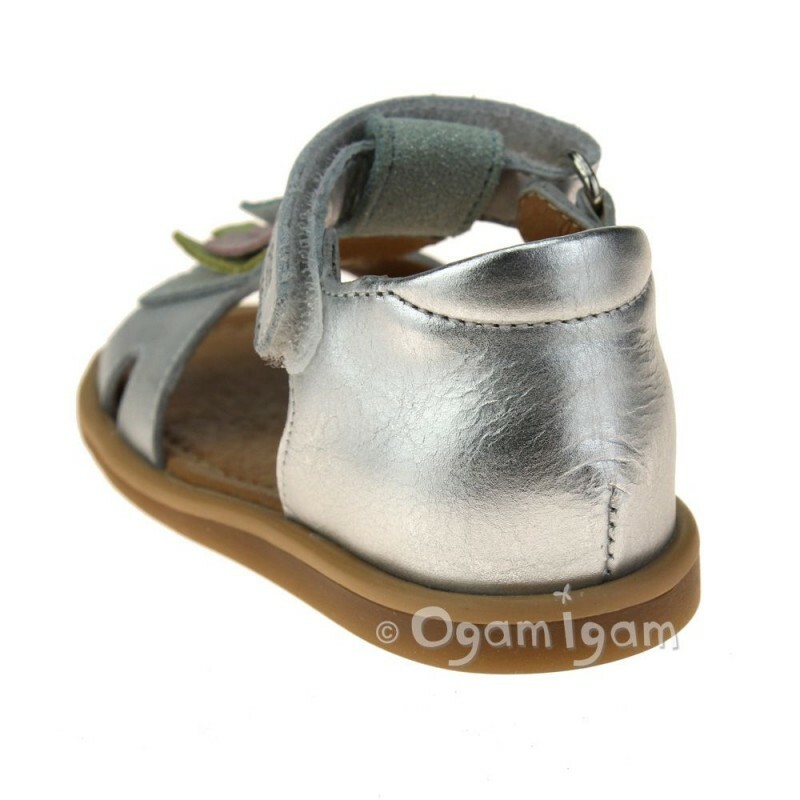 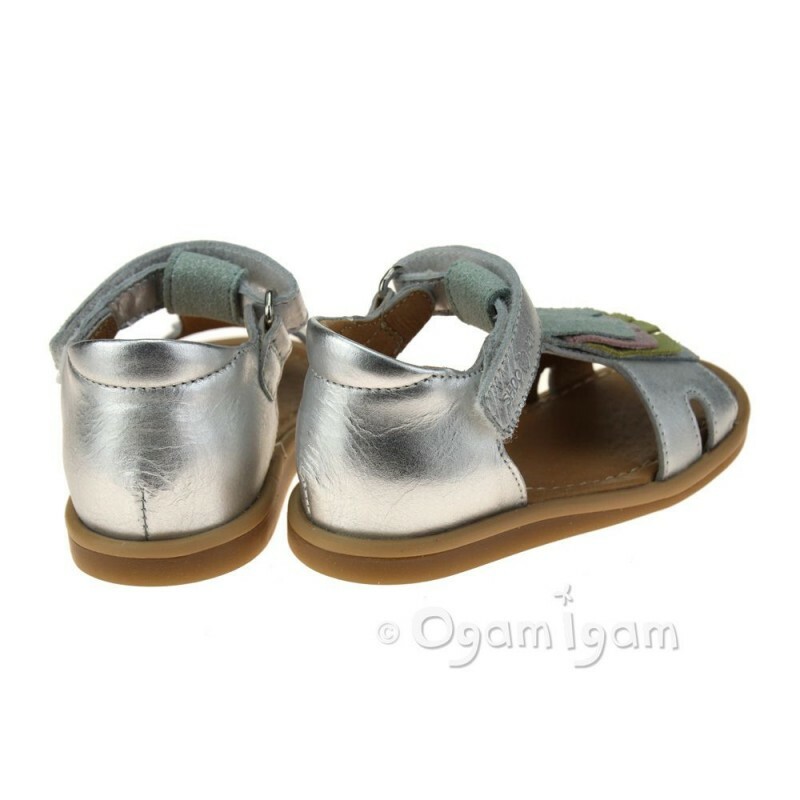 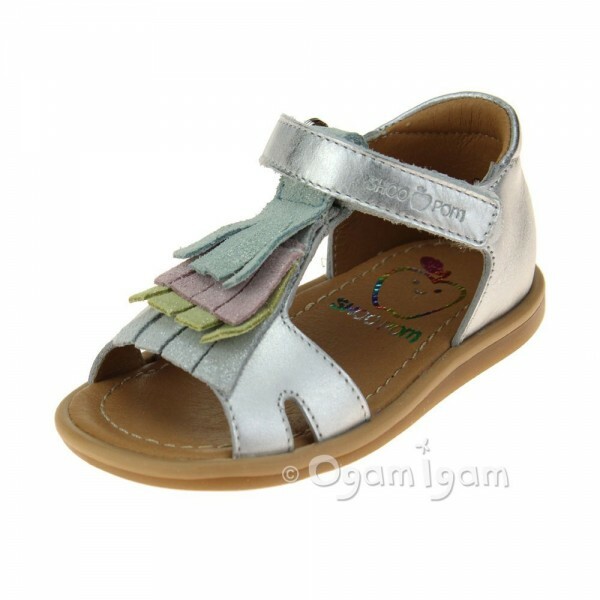 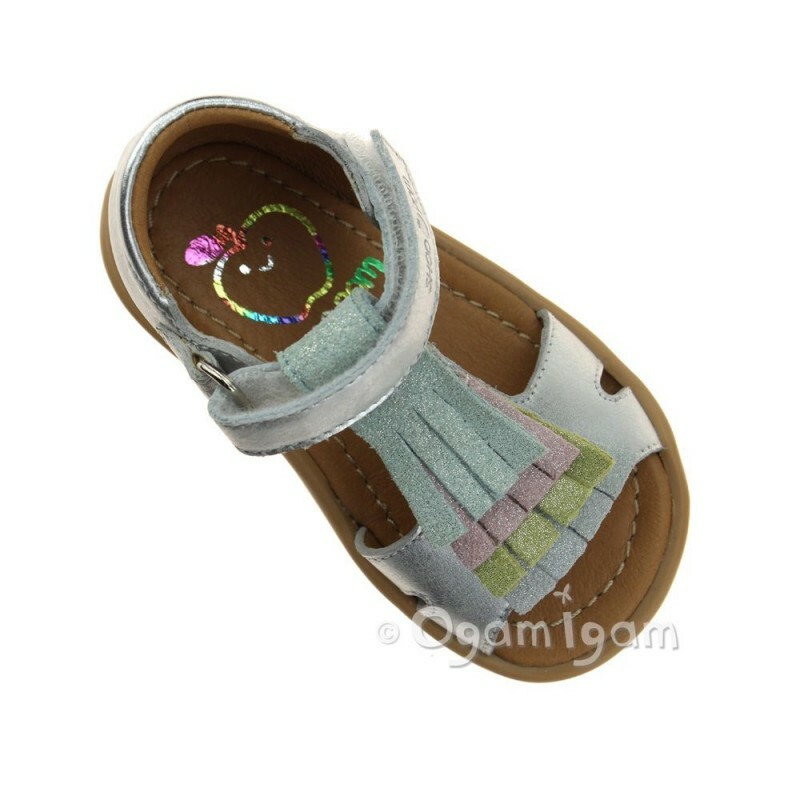 Tity Fringe from Shoo Pom is an infant girl's open-toe, closed heel sandal in shiny silver leather with an attractive multi-coloured fringe to the front. A single riptape strap surrounds the high heel cup providing adjustability and support. 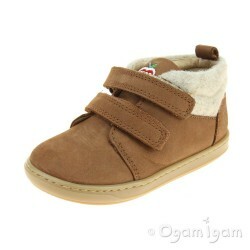 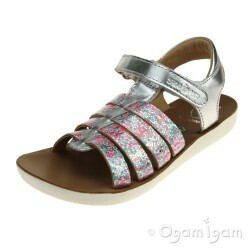 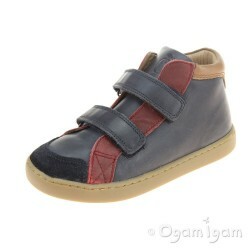 Fully leather lined with a cushioned footbed over a sturdy flexible brown outsole with good grip.